REVIEW: Alcatel Idol 4S (Windows 10) - A Flagship Rival? Download REVIEW: Alcatel Idol 4S (Windows 10) - A Flagship Rival? 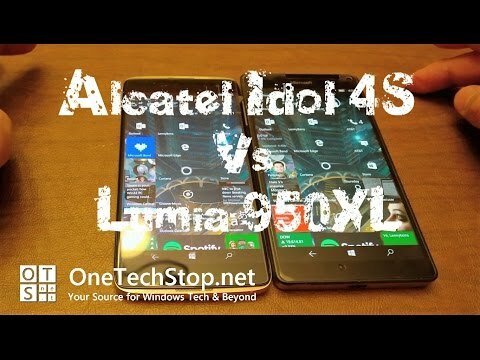 Lenny (@LennyBons34) pits Alcatel's new Windows 10 Mobile device, the Idol 4S, running on a Snapdragon 820 CPU aginst Microsoft's Lumia 950XL powered by the older Snapdragon 810. The Idol has 3.5GB of available RAM while the 950XL has 3GB. Which is faster at opening apps and doing everyday tasks? Watch the video and find out for yourself! And make sure you subscribe to catch our upcoming videos!